CANCELLATIONS reported of an Activity at McMartin House (or Closures) for weather listed here. PSF's Annual Report for our 2017-2018 fiscal year has been presented to Ontario Heritage Trust (our leaseholder) and to Council Members of the Town of Perth. You may access a copy of this Annual Report here. 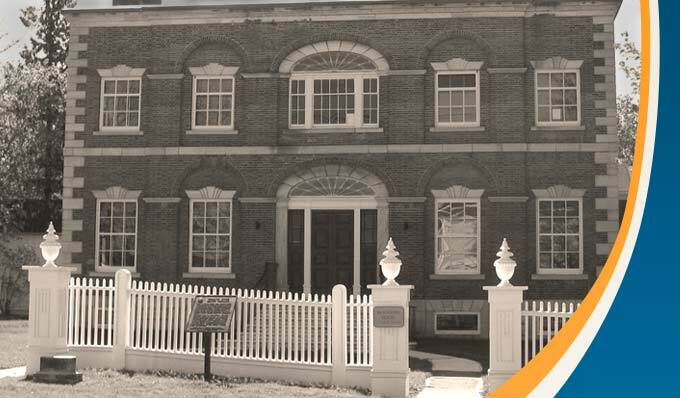 PSF is very grateful to have been the beneficiary of a substantial In-Trust award from the Meriama Fund, which hha shelped us to develop and maintain the “Mary Bowrin Boardroom” within McMartin House. The new Mary Bowrin Boardroom seats 8 comfortably. Its central feature is a large double pedestal oak board table styled to be complementary with the heritage of McMartin House. Other features include conference chairs with armrests, a historic (now decorative) fireplace, oven and cook top, sink, coffeemaker, microwave, printer, projection screen and other accessories commonly needed or useful at Board meetings. For pictures of the new Mary Bowrin Boardroom and information on rentals, click the Mary Bowrin Boardroom tab at the upper right on our home page. We would like to tell you about how we are working to help meet the needs of Ontario’s seniors now and in the future though the Seniors Active Living Centres Act., ​which replaces legislation governing Ontario's Elederly Persons' Centres. The new name reflects a new approach to active and healthy aging, with modern provisions that build on the strengths of the EPC program and maintains flexibility, accountability and program clarity that aligns with government direction. Moves the majority of EPC administrative program rules from legislation and regulation to program guidelines. This modernized Act and program will not change the current program funding model. It will contribute to better support for seniors and provide a foundation for future investment in the program. To view the legislation please click here .